Benjamin Bernheim signs exclusively to Deutsche Grammophon April 2 - We are pleased to announce the signing of an exclusive agreement with Benjamin Bernheim. The 33-year-old French lyric tenor has already secured his international reputation as one of the leading tenors of the new generation of singers. His debut Deutsche Grammophon album of French, Italian and Russian arias is set for release in Autumn. Celebrating Christian Thielemann's 60th Birthday April 1 - Celebrating the 60th birthday of Berlin-born conductor Christian Thielemann on April 1, 2019, Deutsche Grammophon brings together his Complete Orchestral and Choral Recordings on the Yellow Label on a 21-CD limited edition set. Celebrate Piano Day with Lang Lang and the release of ‘Piano Book’ March 29 - From Beethoven’s Für Elise and Debussy’s Clair de lune to some modern classics that are familiar from TV and movies like Yann Tiersen’s La valse d’Amélie and Max Richter’s The Departure, the celebrated pianist Lang Lang presents a collection of pieces that made him want to become a musician in the first place. Now available in multiple formats. In Memoriam André Previn February 28 - It is with deep sadness that we have learnt of the passing of André Previn at his home in New York on February 28. He was 89. A wonderful performer, conductor and composer as well as an eloquent communicator we look back in thanks and pleasure on many special projects together. Anoushka Shankar offers a compelling retrospective of her career so far February 21 - The Grammy® Award-nominated sitar player and composer Anoushka Shankar has selected fifteen favourite tracks, each of which holds profound personal meaning for her. Released worldwide on 8 March 2019, Reflections recalls the pioneering musician and composer’s creative collaborations with everyone from her revered father and teacher, Ravi Shankar, to such fellow progressive artists as Norah Jones, Alev Lenz, Karsh Kale and Nitin Sawhney. Gustavo Dudamel, the LA Phil and Deutsche Grammophon join forces for a new collaboration February 19 - The prestigious Los Angeles Philharmonic, led by Music & Artistic Director Gustavo Dudamel, and Deutsche Grammophon, the world’s leading classical music label, are set to extend their long history of making music together. Upcoming releases will include a tribute to multi-award-winning film composer John Williams and, as the LA Phil marks its centenary season, a commemorative limited-edition box set entitled LA PHIL – 100 YEARS. Boston Symphony Orchestra & Andris Nelsons Win Two GRAMMYs February 10 - Congratulations to Andris Nelsons and the Boston Symphony Orchestra for winning two GRAMMYs for their recording of Shostakovich Symphonies 4 & 11 in the categories ‘Best Orchestral Performance’ and ‘Best Engineered Album, Classical’ at last night‘s award show hosted in Los Angeles. The next instalment of their Shostakovich cycle (Symphonies 6 & 7) will be released 22 February 2019. In Memoriam Jóhann Jóhannsson February 8 - Deutsche Grammophon celebrates the life and work of the late Jóhann Jóhannsson with a two-volume retrospective selection of his most important works. RETROSPECTIVE I will be issued on 26 April as a deluxe hardcover book edition, with seven albums featuring Jóhannsson’s earlier works, including his previously unreleased soundtrack to the documentary White Black Boy. Mirga Gražinytė-Tyla signs exclusively to Deutsche Grammophon February 1 - We are delighted to announce the signing of an exclusive agreement with young maestro Mirga Gražinytė-Tyla. The Lithuanian musician, who serves as Music Director of the City of Birmingham Symphony Orchestra, becomes the first female conductor to sign an exclusive long-term contract with the Yellow Label. Gražinytė-Tyla will release her debut album in May. O Crux Benedicta – Lent and Holy Week At The Sistine Chapel February 1 - After Cantate Domino (2015), Palestrina (2016) and VENI DOMINE – Advent & Christmas at the Sistine Chapel (2017), O Crux Benedicta – Lent and Holy Week At The Sistine Chapel is the fourth instalment of the unique collaboration between Deutsche Grammophon and the Vatican’s own Sistine Chapel Choir. 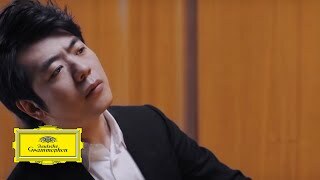 New music video of Lang Lang playing Beethoven's “Für Elise” January 28 - The favorite piano pieces that everyone knows – on ‘Piano Book’, the celebrated pianist Lang Lang presents key works that connect piano students around the world and accompany them forever. Watch Lang Lang's new music video to Beethoven's “Für Elise”. Rafał Blechacz and Bomsori Kim on their new collaboration January 25 - It began as a one-sided encounter – Rafał Blechacz was watching television and spotted Bomsori Kim as she was taking part in the 2016 International Henryk Wieniawski Violin Competition. The new duo partners now present their first recording of French and Polish repertoire. Avi Avital returns with Bach January 25 - Following his successful debut “Bach”, Avi Avital has continued to immerse himself in the music of J.S. Bach. For his upcoming tour, the mandolin virtuoso has arranged two of Bach’s best known works, the Solo Partita No. 2 in D minor BWV 1004 and the famous Prélude from Cellosuite No. 1. Introducing Deutsche Grammophon’s new project “12” January 25 - “12” – a 12-track, multi-artist collection from today’s innovative and creative musicians. The brand-new tracks will be released one per month throughout 2019 and have been specially chosen both to represent different contemporary classical genres and to suit the mood of the season. Project “12” is launched with “Moon Square” by Berlin-based pianist, composer and producer Arnold Kasar. Joep Beving – Into The Dark Blue January 25 - “Into The Dark Blue” is the first single from Joep Beving’s next album, “Henosis”. The first song from Joep that makes use of electronics, “Into The Dark Blue” refers to both the depth of the ocean as well as the far end of our atmosphere and beyond. “Henosis” will be the completion of a trilogy that started with his debut “Solipsism” and sophomore album “Prehension” both for piano solo. “Never Look Away” nominated for 2019 Academy Awards January 22 - Congratulations to Max Richter and all involved in director Florian Henckel von Donnersmarck's “Never Look Away” on receiving an Oscar Nomination in the categories Best Foreign Film and Cinematography! Lang Lang unveils his new solo album, ‘Piano Book’ January 18 - We are excited to share with you Lang Lang's brand new solo album. The celebrated pianist returns with ‘Piano Book’, a collection of pieces which first inspired him to play the piano and led him on his path to international stardom. The first track, Beethoven's “Für Elise”, is available now. Víkingur Ólafsson nominated for BBC Music Magazine Award January 17 - Víkingur Ólafsson's recent album of Johann Sebastian Bach’s keyboard music has been nominated for a BBC Music Magazine Award 2019 in the category Best Instrumental Album of the Year. The public vote for the awards is now open. Daniil Trifonov nominated for BBC Music Magazine Award January 17 - “Destination Rachmaninov – Departure”, Daniil Trifonov's recent collaboration with the Philadelphia Orchestra and Yannick Nézet-Séguin, has been nominated for a BBC Music Magazine Award 2019 in the category Best Concerto Album of the Year. The public vote for the awards is now open. Jan Lisiecki plays Mendelssohn January 11 - Jan Lisiecki explores a pair of early Romantic masterpieces: Mendelssohn’s Piano Concertos in G minor and D minor, in which he is accompanied by the internationally acclaimed Orpheus Chamber Orchestra of New York. He complements the two concertos with a selection of some of Mendelssohn’s most brilliant pieces for solo piano: the Variations sérieuses, the Rondo capriccioso and the “Venetian Boat Song” from the Songs without Words. Mari Samuelsen debuts on Deutsche Grammophon January 11 - Deutsche Grammophon is delighted to announce the signing of an exclusive agreement with Norwegian violinist Mari Samuelsen. Her first single, Max Richter’s “November”, is set for international release on 11 January 2019 to coincide with the ARTE broadcast of her spectacular performance last October at Beijing’s Forbidden City as part of the DG 120 celebrations (scheduled for 13 January at 5.40pm CET). Live from the Forbidden City – Carmina Burana January 4 - Filmed and recorded live in front of the magnificent scenery of Beijing's Forbidden City, this unique gala concert held in celebration of Deutsche Grammophon's 120th Anniversary features conductor Long Yu and the Shanghai Symphony Orchestra. To be released on CD and DVD / Blu-ray Disc, of which the audio-visual release will feature additional performances. Maurizio Pollini plays Chopin's Late Works January 4 - Continuing his revelatory chronological re-exploration of Frédéric Chopin's late works, Maurizio Pollini presents a new recording of Opp. 55–58, including the B minor Sonata and Berceuse; four works written between 1843 and 1844. Tokyo Gala Concert with Anne-Sophie Mutter and Seiji Ozawa January 1 - Anne-Sophie Mutter and Seiji Ozawa, together with the Saito Kinen Orchestra, create with this astonishing recording live from Tokyo another milestone in the 120th Anniversary of Deutsche Grammophon.